Record, replay, edit and manage files by pressing numbers on your telephone keypad. 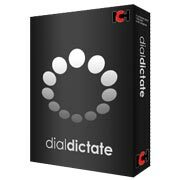 This phone dictation system lets you, and other users, dial into a computer running DialDictate to record dictation. Record, replay, edit and manage files by pressing numbers on your telephone keypad. When you have completed a recording, DialDictate will then immediately send the dictation to your typist for transcription by email, the local computer network or via the Internet.